There’s been a lot of talk about the lack of genuine star power surrounding LeBron James in LA, not to mention the strange free agent additions Lakers management has surrounded him with. 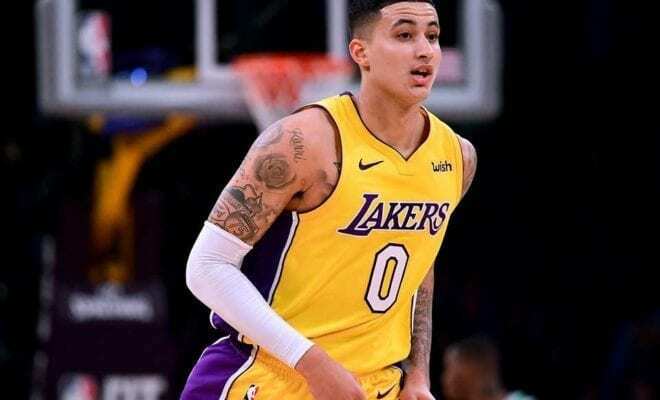 But according to budding Laker Kyle Kuzma, that talk has gone too far and the team is now being underestimated. While the Lakers have been branded as the ‘meme team’ by some, Kuzma is feeling great about the new-look squad. “We [Kuzma and James] are both definitely excited about the roster and the pieces that we have,” Kuzma told ESPN. “And we think that a lot of people are underestimating us. It’s definitely going to be fun playing with all these new guys. A lot of people say we got a lot of different people, a lot of new people. Kuzma was also quick to disagree with the notion that LeBron will have to wait another year for Lakerland to become truly relevant. “I don’t know why people kind of just rule us out because we are young,” he said. “We are hungry. We are competitive. Anybody that watched us play last year, we were in a lot of games. The Lakers finished 11th in the Western Conference last season with a 35-47 record.